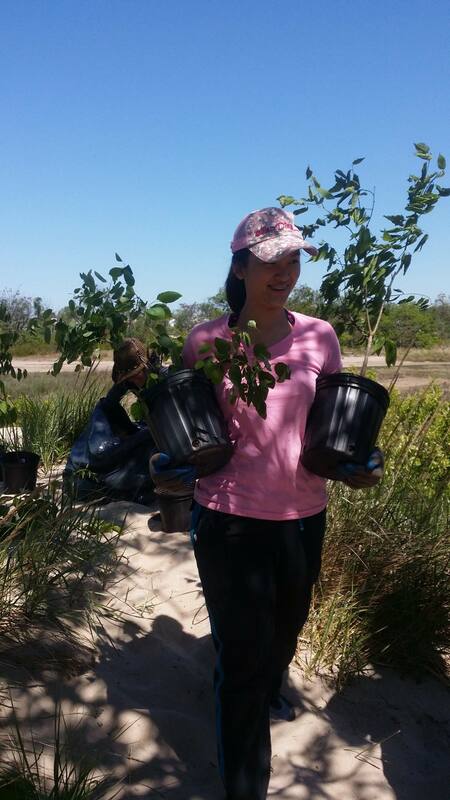 Plumb Beach Planting and Paddling Fun! 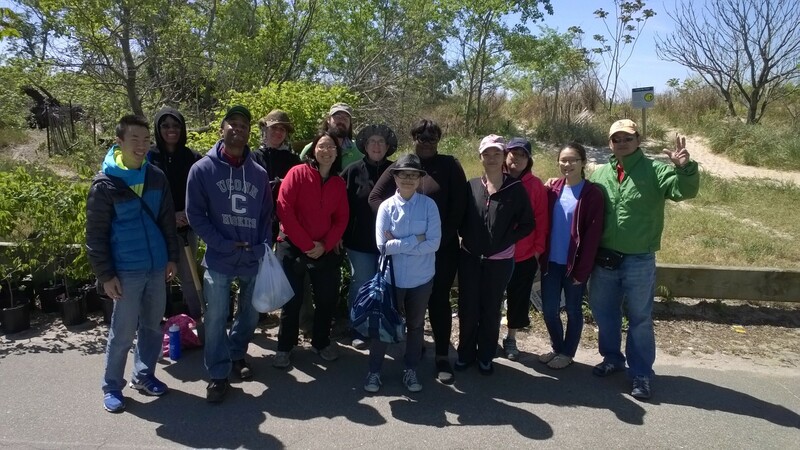 HarborLAB had an amazing time planting 20 hackberry trees, 10 serviceberry trees, and hundreds of beach plum seeds in the Plumb Beach, Brooklyn section of the Gateway National Recreation Area. Executive Director Erik Baard proposed the project and Park officials directed us to plant on the interior of the dune line, to help prevent sand from blowing into the vital salt marsh habitat (the blue snake of water you see to the right of Plumb Beach in the satellite image below).These fruiting species are all native, salt tolerant, drought resistant, and delectable to birds and humans alike. In addition to core HarborLAB leaders and volunteers, our crew for the day included New York District Division 11 Key Club high school students and friends from the Eastern Queens Alliance, and our planting work was guided by Gil Lopez of Smiling Hogshead Ranch urban farm. We’re grateful to have also consulted with the Northeast Chapter of the American Littoral Society. The trees were supplied by New York Restoration Project and the beach plum seeds were a gift from Briermere Farms. After the planting was done, we launched two groups onto the water. HarborLAB Facilities Manager Patricia Menje Erickson took those who were new to paddling or unable to join the planting work on short tours along the beach, while Erik took experienced paddlers who helped with the dune stabilization planting on a little voyage to one of NYC’s secrets: White Island. Huge thanks to our youngest volunteers, who went the extra mile and picked up plastic trash as they went. 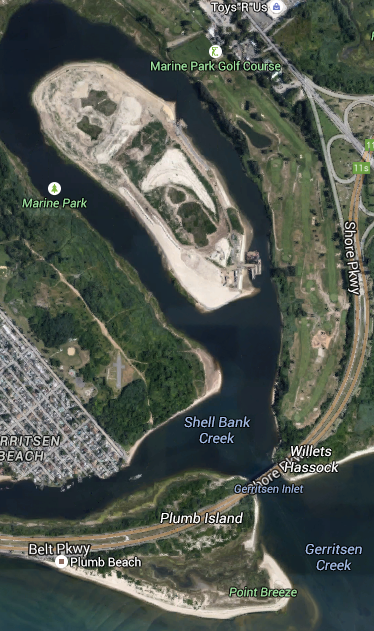 We paddled from the beach on Rockaway Inlet through Gerritsen Creek and Gerritsen Inlet into Shell Bank Creek. We saw a wonderful array of shorebirds, but the stars of the show were certainly a pair of osprey nesting on a platform within Marine Park (a NYC Park), across from White Island. This loop of Shell Bank Creek is home to a Forever Wild habitat restoration and preserve that supports over 300 bird species, a third as many fin fish species, scores of butterfly species, and a kid’s dreamscape of icky, clicky, squishy, and cool invertebrates. At this time of year, one ancient return from the sea to witness is the horseshoe crab mating migration to shore. We were lucky to see some of these living fossils. Our only landing was by the rip rap bluff of White Island, and we never ventured over its dunes for fear or disturbing or damaging the restoration. 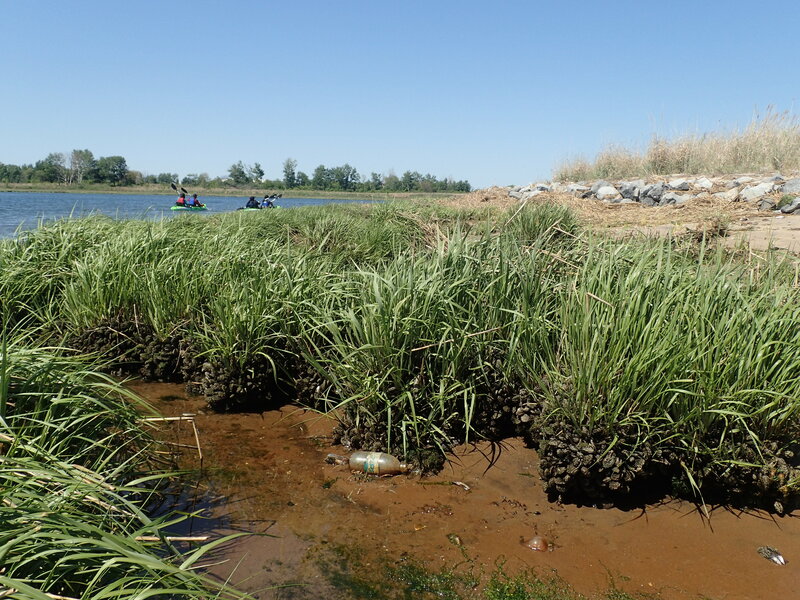 This former dump is now planted entirely across with native grasses and flowers, and mussels have already begun to anchor its marshy fringes. The intertidal flats are spongy and riddled with crab and snail retreat holes. The morning crew. Over the course of the day, another dozen people joined us. We look forward to returning to this spot with kids this summer, but launching from within Shell Bank Creek for fuller protection from wind and current.